Yesterday, I had the honor of awarding a $3,000 grant to Operation Gratitude on behalf of our Company. The charity annually sends over 100,000 care packages addressed to individually named U.S. Service Members deployed in hostile regions, to their children left behind and to Veterans, First Responders, Wounded Warriors and their Care Givers. While I had heard of the non-profit before, the time I spent onsite was eye-opening. The operation was truly impressive. It’s summer time here in the Valley, which means it is brutally hot. 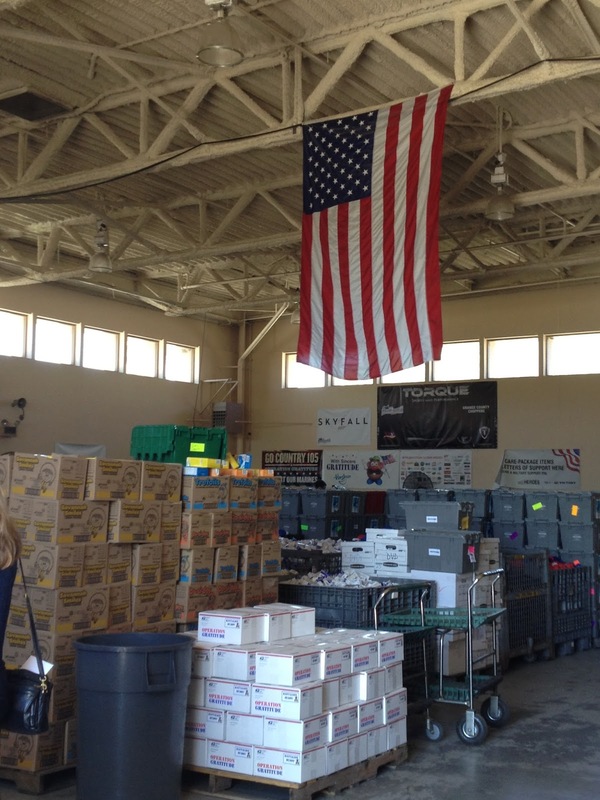 The warehouse we walked into was equally as blistering, but you would never have known it from the smiles on everyone’s faces and the amazing energy they had as they packed box after box for our troops overseas. I got in line to help, and packed items in tight: sunscreen, Girl Scout cookies, toothpaste and handwritten letters of love and support. And as I filled boxes with care, I learned the story behind it all. After 9/11, the founder – a woman who was only a few years older in 2001 than I am today – wanted to do something to help our Country. She tried to enlist in the armed services and was told she didn’t qualify, but that was not going to stop her from showing how much she cared. It started in her living room when she filled four small boxes with items to send to some of her friends’ relatives overseas. Today, Operation Gratitude is approaching the 1,000,000th package sent. Wow. Even more “wow” is the statement this makes about how much one person can change the world. So often, we go to work or go through the motions in a day. We may feel small, unappreciated or like we don’t matter. We may feel lost or useless and wonder why we are here. But every life has meaning to someone. Your life has meaning to someone. Your life has meaning to many, actually. You can put a smile on someone’s face, bring lightness to their heart and give them strength in a time of weakness. You are powerful beyond measure, if you choose to believe in yourself and to take action. Believe that you can change the world and you will.